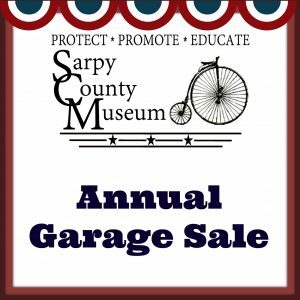 The Sarpy County Museum annual garage sale fundraiser will be held Friday, September 14 and Saturday, September 15. It runs from 8:00am to 4:00pm both days. You can shop while showing support for the Sarpy County Museum! Many shoppers return year after year for the selection of reasonably priced items.